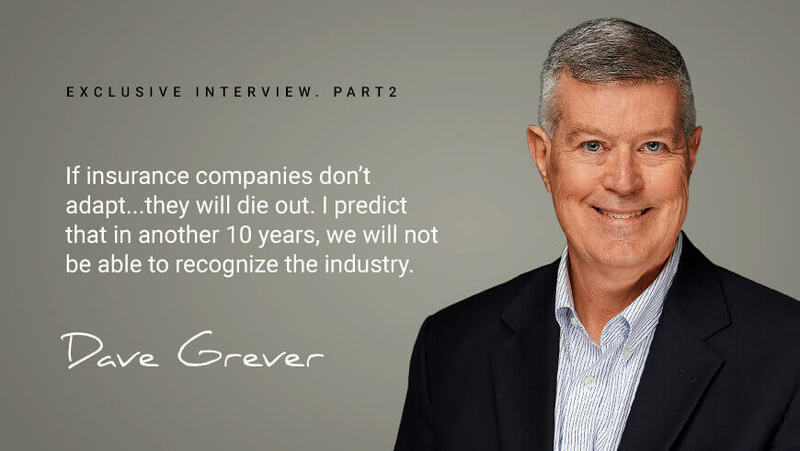 A few months after joining Livegenic as Senior Vice President of Technology Partnerships, Dave Grever sat down with a business journalist to talk about his journey through the insurance industry, plans for his department, and what the future holds for the industry. We talked about the future - and it’s here. This is Part 2 of the interview. Click here to read Part 1. — I’d like to drill down a little deeper here. You have managed many insurer relationships with key technology partners. Can you tell us how Livegenic provides tangible value add for insurers? — That’s a great question. That’s why it’s important that these integrations between Livegenic and strategic partners are pre-built, so it becomes easier for carriers to ingrain into their process. Claims people, like everyone else, are people of habit. I know from my Claims experience, that live video collaboration and documentation would be beneficial for the claims process. However, if I’m a claims adjuster and I already have a tried and true process that I follow, I’m not going to try something new if it takes me longer to figure out the process - because I don’t understand it - I’m not going to do it. Therefore, change has to be driven from the top by management. For a Claims department to adopt a new technology like this, they must see that it’s going to result in a better job. I like to refer to a Claims Triangle (and I’m borrowing this concept from the Chief Claims Officer at QBE in North America). He liked to use a visual of a claims triangle comprised of Efficiency, Effectiveness and Customer. Livegenic addresses all these in one video interaction. The customer and claims adjuster can interact in real-time while capturing video of the damage along with audio to document and preserve this information for future reference! Compare this with the typical process in use at most carriers now. In the case of minor damage claims, adjusters are talking to the customer and asking them to take a few pictures, which are static, and often don’t show the right thing. I call it the Claims Triangle, to quote the Chief Claims Officer at QBE in North America. He liked to use a visual of a claims triangle comprised of Efficiency, Effectiveness and Customer. Livegenic addresses all of these in one video interaction. Then the adjuster may ask the customer to obtain a few estimates of the damage. It may take days or sometimes weeks for the adjuster to receive the photos and estimates, and this often results in overpaying the claim. It’s not a good customer experience, not efficient, nor effective in terms of the claims process. For more severe damage, the adjuster may dispatch a field adjuster or an independent adjuster, which may cost several hundred dollars. Then the adjuster may have to make a second visit if something is missed. There are all sorts of dynamics at play here, all of which can detract from the overall claim experience. Whereas, using the Livegenic platform – with live video collaboration – the adjuster can see the damage right away – and can settle the claim much quicker. Livegenic can teach adjusters to incorporate live video collaboration into their process, enabling the adjuster to settle a claim within hours rather than days or weeks. All of this is, of course, beneficial to both the customer and the Insurance carrier. Another benefit to carriers that may not be as obvious, is the ability to use Livegenic to combat fraud or inflation of claims. Real-time video with geocoding helps prevent many of the common schemes used to defraud an insurance company or inflate a claim. — Can you tell me what precisely, informed your decision to join Livegenic? Was there anything in particular that proved the tipping point for you? Speak to us about Livegenic the company, its technologies and the people. What sets the company apart from others? — It was a number of things really. I had always respected Jim Porcari and regarded him as a mentor. I trust Jim, and when he told me about Livegenic I was immediately interested. Then I met Olek Shestakov and found him to be a very smart and credible man. It was a relationship and trust issue of both the people involved and the technology. There were of course other factors. Livegenic was already out there and not unknown to me. Plus of course, I’d had the experience at QBE, and knew this to be a technology that serves a need and fills a gap in the market right now. — Given the Livegenic platform strengths, what are your overall goals and objectives to take Livegenics Technology Partnerships to the next level? — First things first, I would like to see us complete the integrations with our key strategic partners in the first quarter. Then we need to continue to develop and cultivate other strategic partnerships that will engrain Livegenic in the insurance ecosystem. I want to change the question from “Why should we use Livegenic?” to “How can we seamlessly integrate Livegenic into our Claims process?” Through developing strategic partnerships, I think all carriers can quickly benefit from this technology and the new developments that are coming in artificial intelligence. — In conclusion, what, in your view, can we expect from the industry in the coming year 2019? — Everybody is talking about InsurTech - the insurance industry is ripe for disruption. Most carriers are saddled with old legacy systems and data that’s difficult to leverage. Plus, most carriers are slow to adopt new technology. However, they are starting to see they have to move ahead by adopting some of the new technologies. Leveraging Big Data, applying Artificial Intelligence, or identifying better algorithms – such as fraud algorithms – are some of the technologies that insurance carriers need to take a serious look at. An experienced adjuster can often sense something is not right (either fraud or misrepresentation) but it takes a long time to develop this level of expertise. Tools such as those that Livegenic provides can significantly shorten the learning curve. The longer a claim takes to settle, the more it costs, and there are many drivers for this. The bottom line though is, speed is essential. We’re getting to the point where a human touch is not going to be needed on some claims. Then there’s usage based insurance, such as that offered by Progressive and an innovative new company who is partnering with Livegenic, the details of which we will be talking about within the next few months. There are exciting times ahead, and if insurance companies don’t adapt...they will die out. I predict that in another 10 years, we will not be able to recognize the industry.